Discovering Volume Formulas by ereiser is licensed under the Creative Commons - Attribution license. This activity is for a geometry class. Students choose a 2-dimensional object and then discover the volume formulas for stacking copies of that object. They then are given a model that splits the cube into 3 pyramids. By looking at this model they come up with the pyramid volume formula. I used Tinkercad to design the squares that stacked. 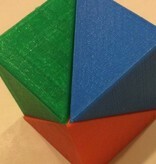 I used 123D Design to split the cube up. 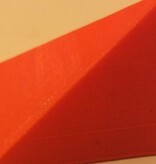 First I used polyline to get a triangle on one of the cube faces. 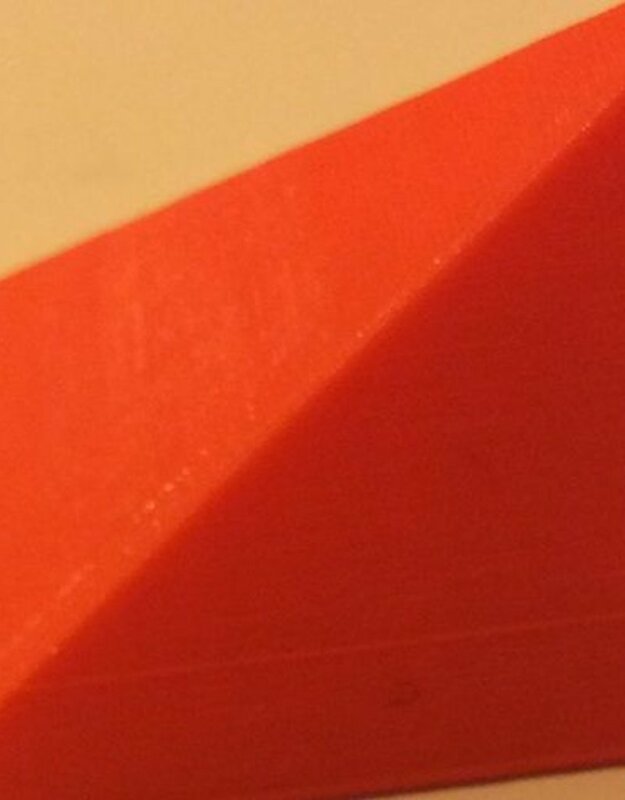 Then I extruded the triangle to take it away. Next, I turned the object and did the same for each side. You need 3 copies of this pyramid to fit together to make the cube. To get these 3 pyramids to stick together a few options I thought of is to use Velcro dots or magnets. I used these magnets found at a craft store: https://www.sbarsonline.com/sbars/p-8122-mag-208.aspx. 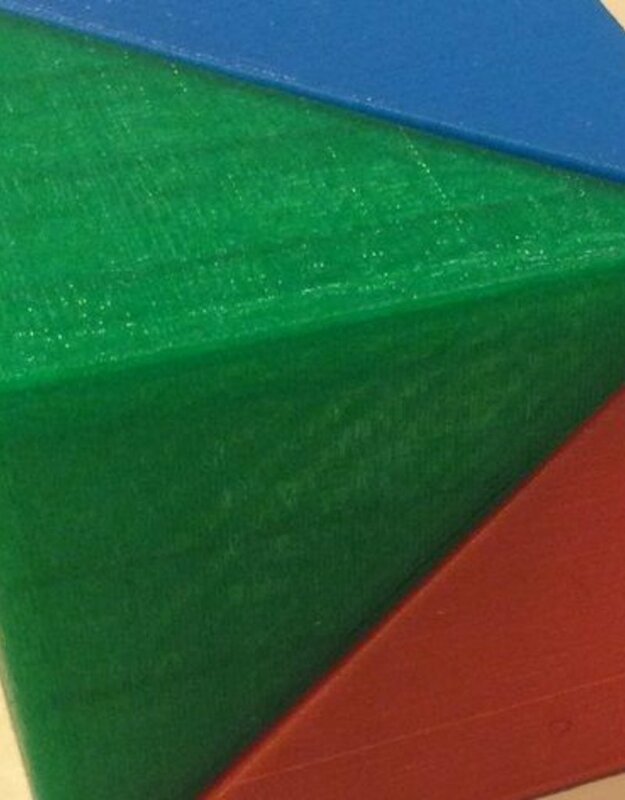 Students will use 3D printed objects to help them visualize the volume of various objects. Students will come up with several volume formulas. 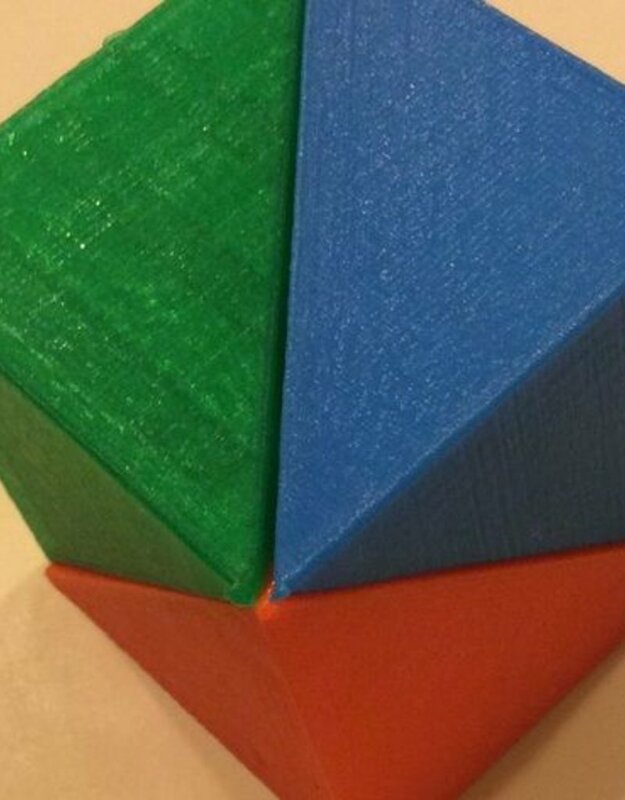 First, ask students to choose a 2-dimensional object and print 5 copies of it. Alternatively, you can save class time by having these already printed or give students cardboard and scissors to make the shapes. Students figure out the volume formula for the 3-dimensional object created by stacking the 5 copies and share their formula with the class. 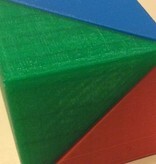 Next, show students the model with 3 pyramids forming a cube. They use this model to come up with the formula for volume of a pyramid with a square base and then generalize to a pyramid with any base. This activity will take one to two days. Students should have already studied two-dimensional objects, such as squares, rectangles, and circles. They need to know the area formulas for these two-dimensional objects. Here is a sample rubric to use with the worksheet.